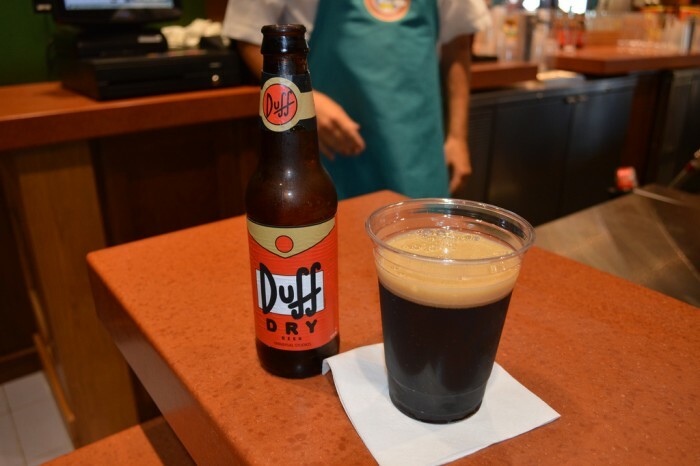 Just as Universal Studios Florida itself will celebrate its 25 year anniversary in 2015, The Simpsons television show celebrated its silver anniversary this year. Since 1989, Homer and the gang in Springfield, USA have been making us laugh with hilarious observations on American culture. 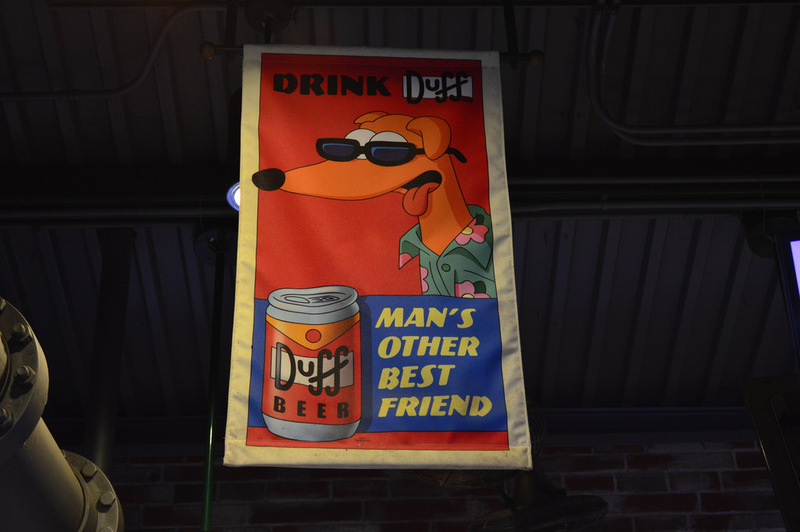 One of the longest running gags of the series is Duff Beer, Homer’s favorite drink of choice. 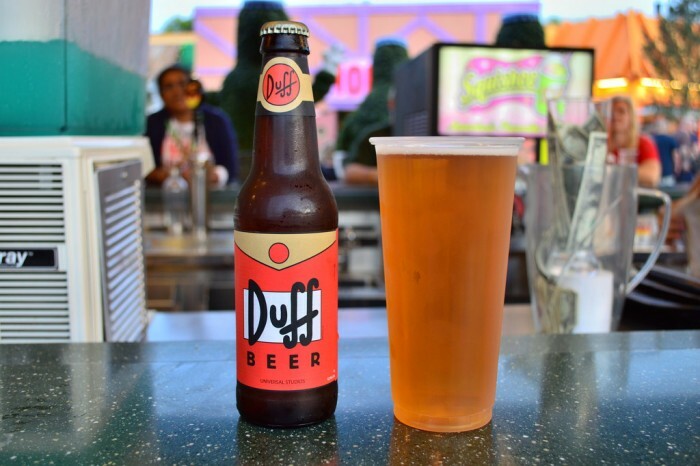 Universal made Duff Beer a reality in 2013 when it expanded its own Springfield area of the park with Fast Food Blvd, Bumblebee Man’s Taco Truck, Kang & Kodos’ Twirl ‘n’ Hurl, and Duff Brewery. 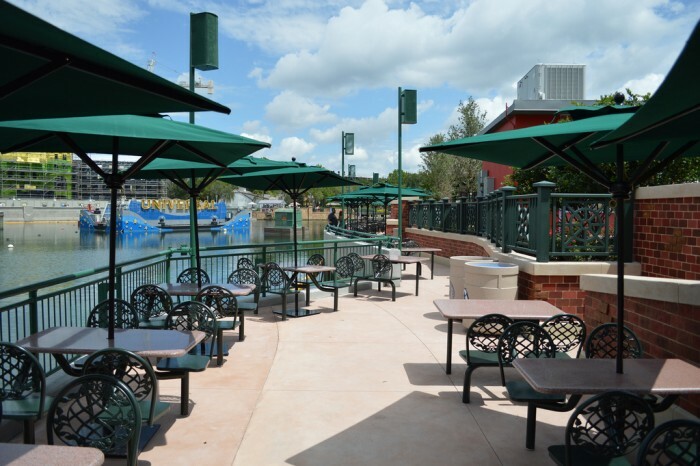 Duff Brewery has seating around the bar along with many tables nearby facing the Universal lagoon and the London Waterfront facade of Diagon Alley. 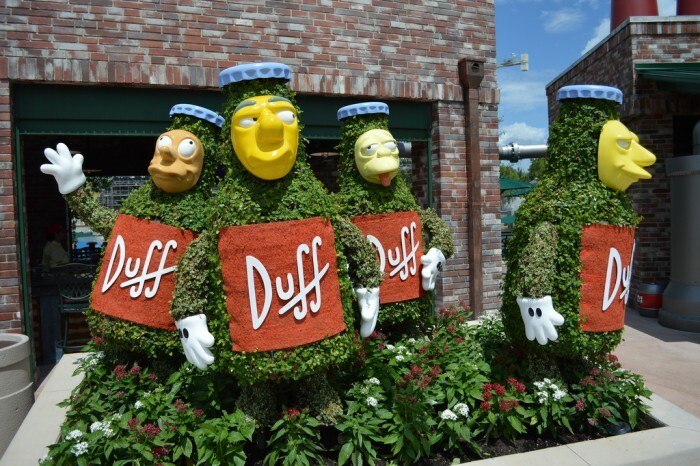 In trademark Simpsons fashion, Duff Brewery has hilarious mock beer ads, along with nods to the iconic show itself, such as full size topiaries of the “Seven Duffs” (a takeoff on Disney’s Seven Dwarfs.) 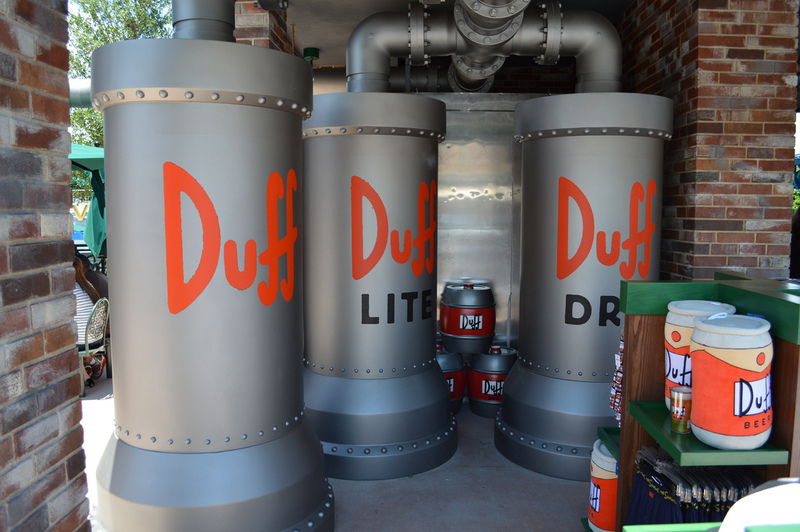 Duff Brewery offers Duff, Duff Lite, and Duff dry in bottles, along with Duff and Duff Lite on draught. For people of a certain age, Duff Beer is synonymous with growing up as Aunt Beru’s Blue Milk on Tatooine or Butterbeer in Hogsmeade village. Sounds like the area is a nice nod to Springfield. 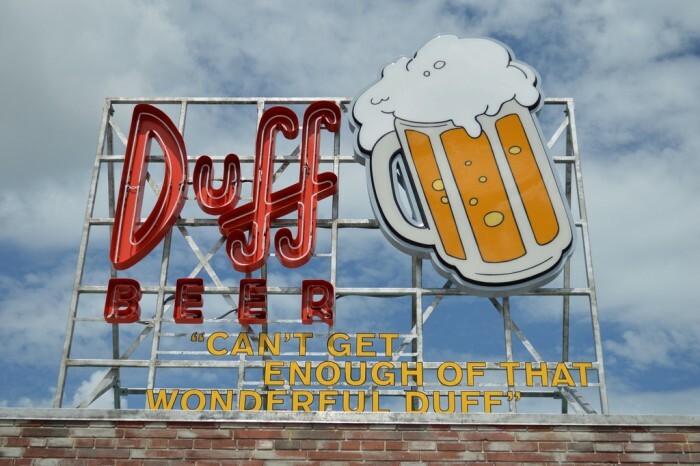 But, umm, what about the beer? Is it any good, or is it just a bland Bud/Miller Lite knock-off? I would say Duff’s closest equivalent would be a Yeungling, Duff Lite a Miller Lite, and Duff Dry a Guinness, although there are definitely differences.